Did Putin bite more than he can chew? Leadership is crucial in these times. Diplomatic speeches are well "calibrated" to ensure "accuracy" on diplomatic platforms. However, some "world power" leaders are becoming famous for making certain statements that may be quite uncalled-for. The leader under my radar is the president of Russia, Vladimir Putin. Terrorism has become a global issue as videos, audios and images unleashed by the supposed terrorists are quite disturbing. This has made it clear that an urgent solution to stop the terrorists is key. The recent terrorist attack on French soil, coupled with that of the Russian passenger plane got the inhabitants of planet earth going haywire for an entire week. Everyone is fed up with the terrorists and therefore the intention of any nation's leader to destroy the terrorists is gladly welcome. However, the fact that terrorists are known to be sojourning in a particular locality on the planet, does not imply diplomatic procedures need to be breached. This is where Mr. Putin comes to play. Mr. Putin certainly has made his intentions concerning terrorists clear by this quote: "...to forgive the terrorists is up to God,...but to send them (terrorists) to see God is up to him..". I know my version is a bit paraphrased but still understandable. Russian war planes were sent to bomb some parts of Syria known to be terrorist abode. However, their planes happened to go through Turkey and certainly there are rules of engagement in various air spaces. Turkish military intelligence communicated with the Russian planes concerning their presence in Turkish air space and got no tangible reply. Turkey, for the safety of the country-folk, had to shoot down the Russian plane. The question: Was there never a diplomatic dialogue between Russia and Turkey concerning Russia's intention? and why did it have to come to this? The world doesn't belong to Putin and though he may have the best of intentions, he must learn to communicate with other nations diplomatically. 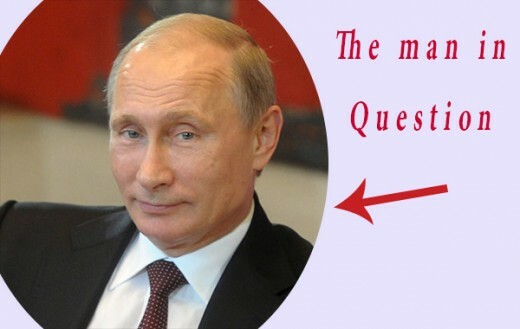 What are your thoughts on Putin? Did he bite more than he can chew?